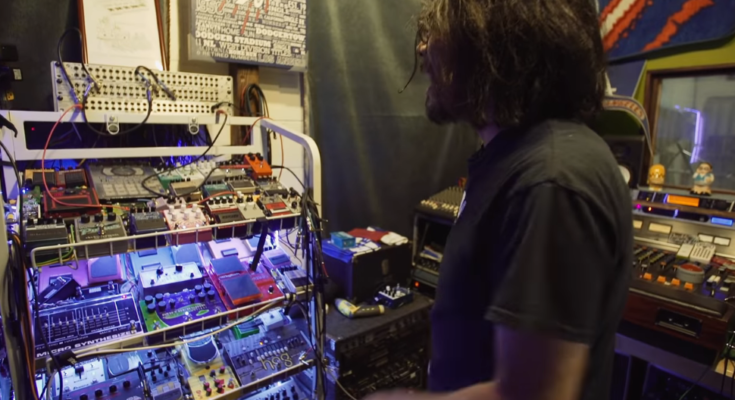 He used to be a guitarist for Big Business, and now is most familiar to music listeners for his collabs with the Melvins. 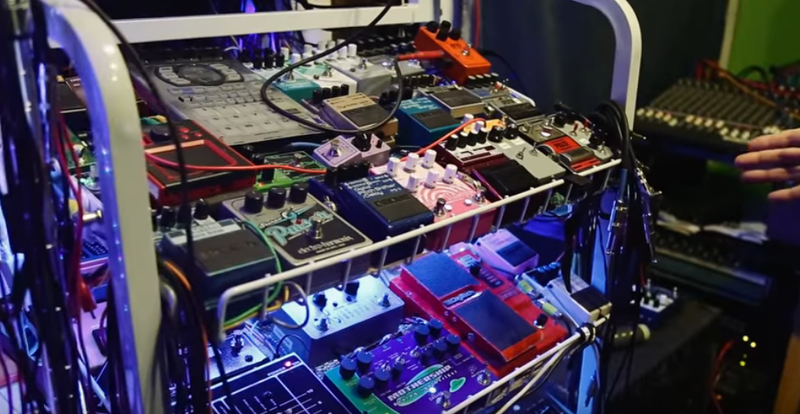 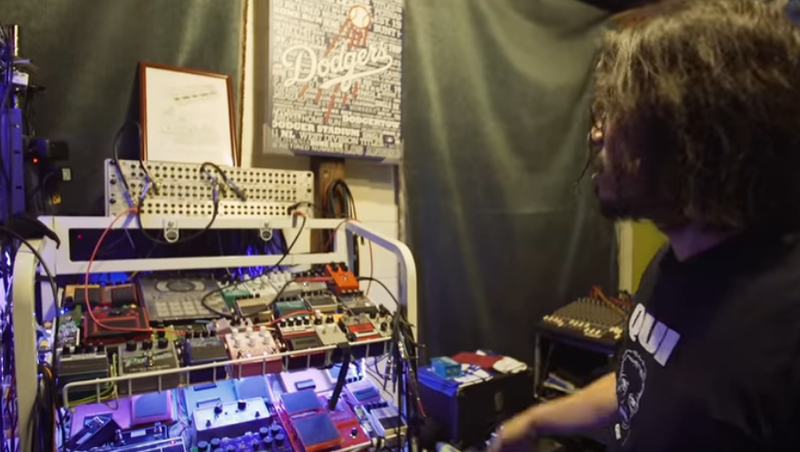 In his Sound of Sirens studio, he showed EarthQuakerDevices (yes, the guitar pedal company) this effects rack. 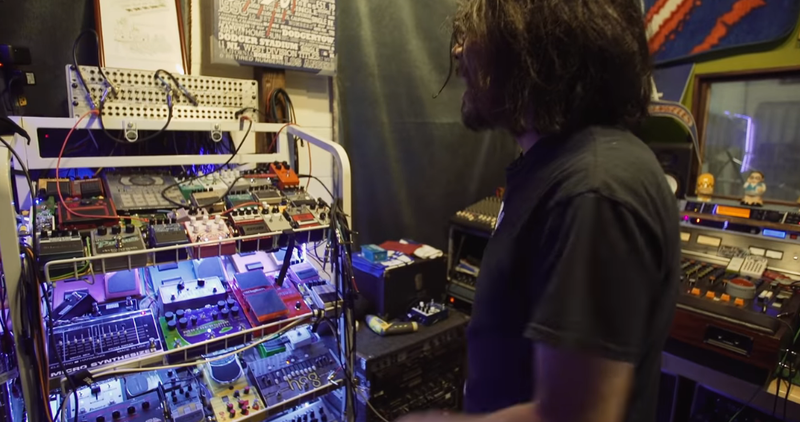 He has shelves of pedals, not all hooked up, but on top there’s that patch bay, so it’s easy for him to run cords in and out of any pedal he’s recording.